ZAKIM BRIDGE - Carpenter & Paterson, Inc. The Leonard P. Zakim bridge is the northern extension of the Big Dig project in Boston, MA and one of the main components of the project. It supports 10 lanes of traffic, spans a total of 1,500 feet, and features two 300 foot tall supporting towers. 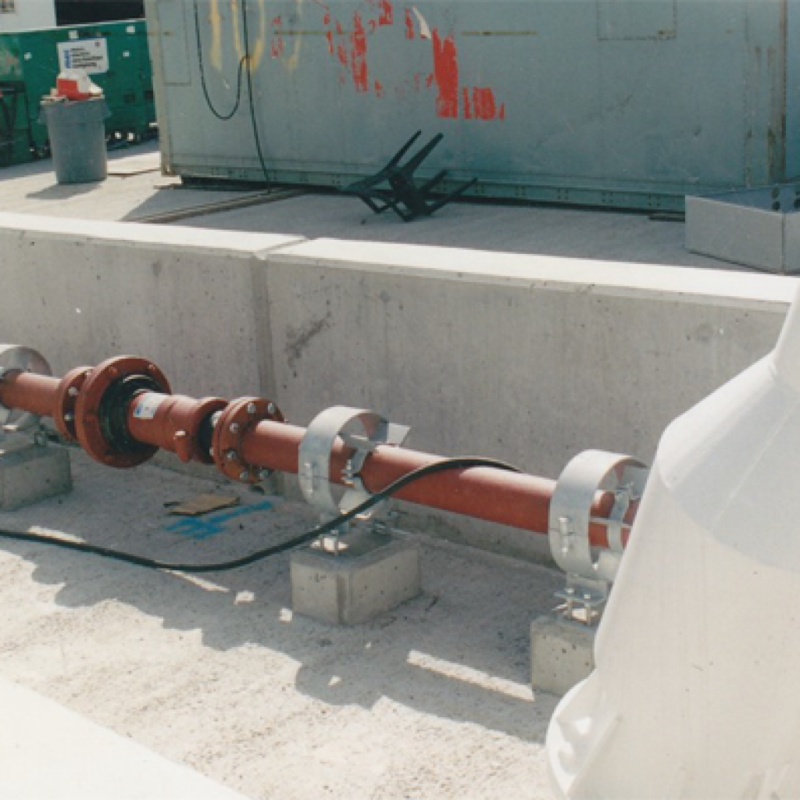 Carpenter & Paterson supplied multiple mechanical contractors on this project with pipe anchors, guides, and supports including repipeline which runs the entire length of the bridge. The Leonard P. Zakim Bridge is a proud staple of the Boston skyline and a major component of the Big Dig project. It is the widest cable-stayed bridge in the world. 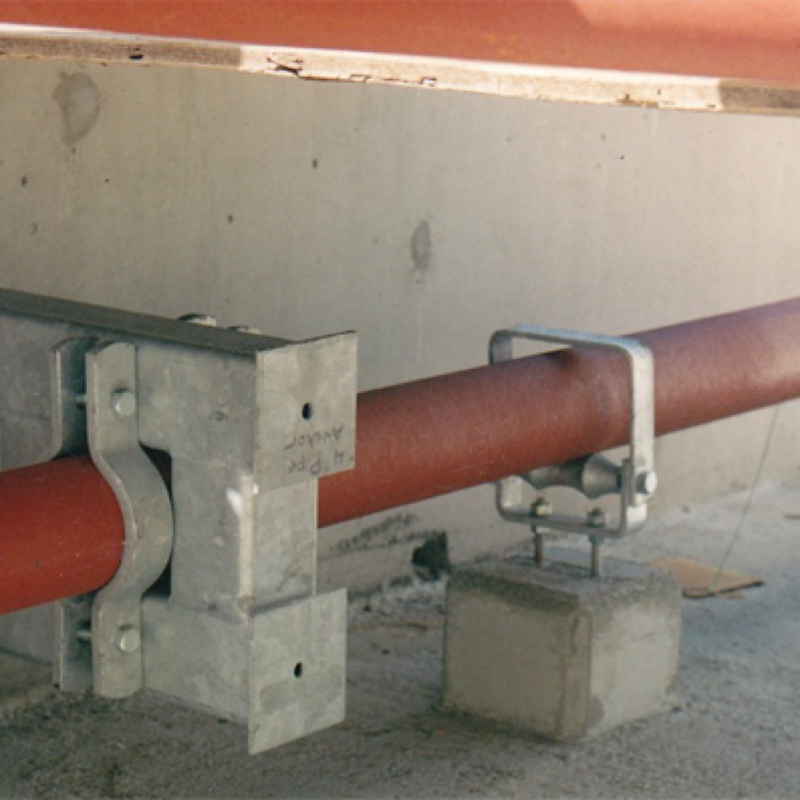 C&P supplied galvanized pipe guides and anchors for the fire lines on the bridge to compensate for bridge expansion and sway.